Old architecture has a certain aura. It has survivors throughout history. The older the building, the stronger the soul. 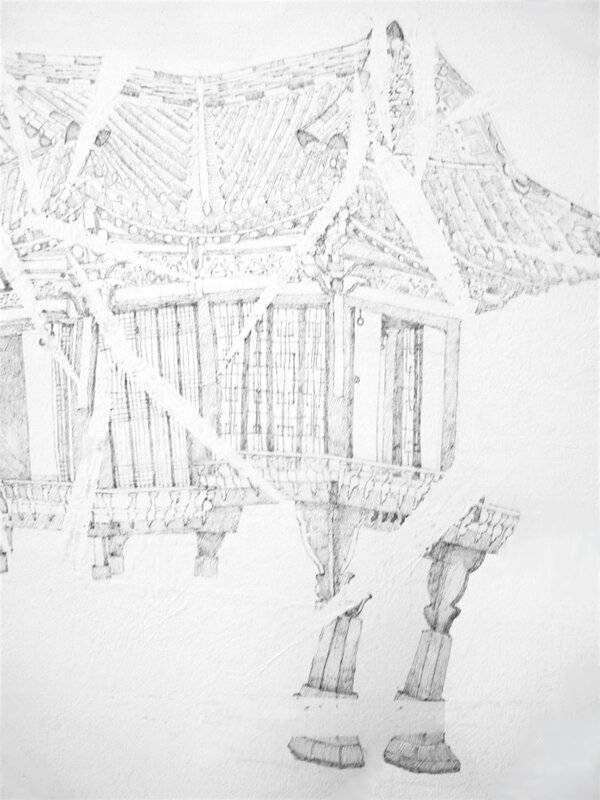 I drew the old buildings on fragile handmade folded Korean calligraphy paper, called Han-Ji. 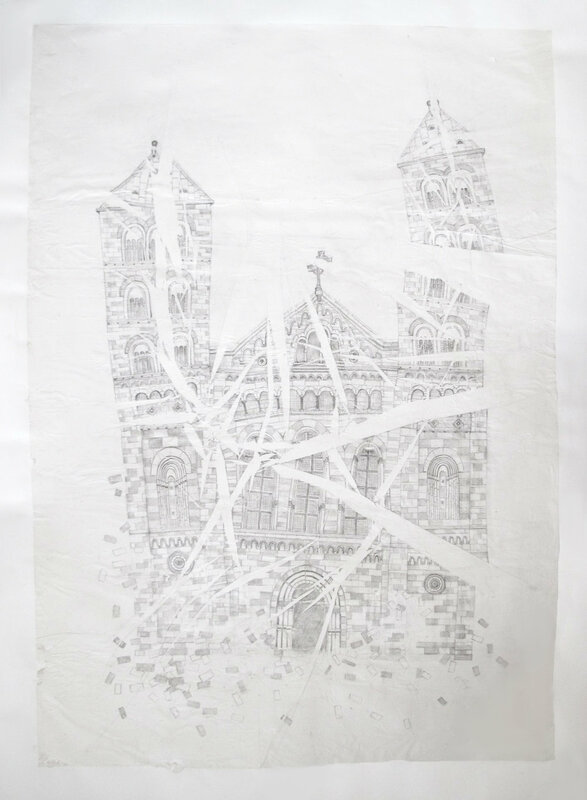 As I unfolded the drawing and it showed obvious cracks as if to reveal all the hidden pain from the structure’s history. It feels poetic. The unpredictability in the folds is similar to the ‘pottery burn’ when you take it out of the kiln.